I’m slowly getting back to the point of editing down some of this summer’s content into episodes. Airshow season here in the northern climes is essentially over, the last aerobatic contest in the area was last weekend, and things are calming down to the low roar that precedes ICAS in December. I didn’t fly at all in September. Not for lack of trying! I had three attempts get rained or ceilinged out before finally getting up in a glass CAP C-182T on Wednesday to try to claw back some instrument proficiency. After devoting the summer to flying upside down or training for the commercial maneuvers, I had precious little time under the hood or in the clouds. I nailed down my six approaches in April and May, but they were about to fall off for currency purposes. So I launched with Capt Malek in the right seat as safety pilot and banged out four approaches in rapid succession: VOR-A 77G with the published miss and a hold, RNAV 27 77G, RNAV 19 77G, and ILS 9R KPTK. 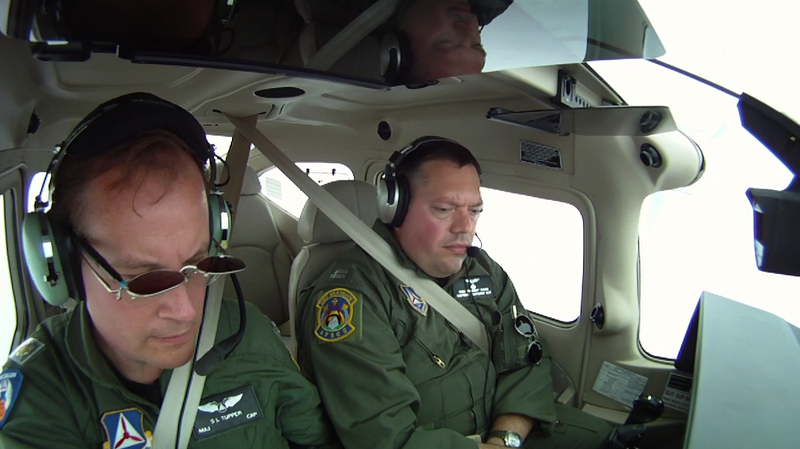 I hand-flew the VOR and ILS and let the G1000 and GFC700 handle the RNAVs. We landed about 40 minutes after sunset and, though the landing didn’t count for night currency, it was pretty darned dark. I’ve taken to putting two cases of bottled water in the back of the C-182T when flying with just two aircrew. The CG is really far forward in the aircraft with no scanner(s) in the back, and the extra 50 lbs in Cargo Area B helps to take some of the nose-heaviness out of the equation. I love the G1000. I just don’t like to see the nose strut poking through it. The aircraft behaves sooooo much better in the flare with a slightly more aft CG! I have an annual stan/eval ride coming up in the airplane this month, and I think I’m pretty much ready for that, pending only a little sim time to get my switchology polished. Otherwise, I have a number of projects that I’m able to dive into. I need to get the Hoppers promo video done. You’ll recall that I embedded with the team in July and shot two four-ship sorties with seven cameras plus audio, and then went up myself in the 3 and 4 ships to shoot hand-held video. The sky was gray and crappy for the flights, but there are enough good moments to make a primo promotional video for the team. I need to do the last ingestion of the footage from the Acro Camp shoot at Ray in August and then get the footage of some of the crew guys out to them on a hard drive that Larry Overstreet has kindly sent to me, but that has been sitting on the desk staring at me. I also need to get David Allen’s footage to him so that he can crank out some OPA episodes. I also need to edit the last part of the NESA MAS series and put together the huge 30,000-word single-MP3 edition, complete with an associated PDF file that will have the full text and pictures. And, lastly, I need to finish a rough cut of the first rough cut of the first Acro Camp movie. That’s going to take some serious time. But it’s doable. Thanks for all the downloads last month! Pretty good for the off-season and it suggests that core subscribership is up. And I have proposals on desks at one Air Force unit and one Navy unit for jet media/orientation flights for the upcoming season of the show. As always, there’s no guarantee with respect to any flight, but the proposals are solid, you guys are a great audience, and the intrepid video, audio, and still crew is locked and loaded if and when the word comes. 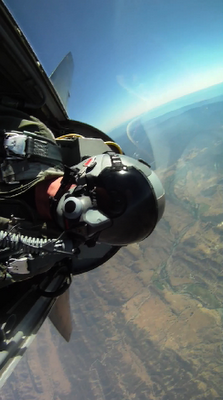 Airspeed changed the game in aviation new media this year with the T-38 episode. And it’s ready to continue pushing the boundaries. These are the show notes to an audio episode. You can listen to the show audio by clicking here: http://traffic.libsyn.com/airspeed/AirspeedZero02.mp3. Better yet, subscribe to Airspeed through iTunes or your other favorite podcatcher. It’s all free! I got together with myTransponder.com founder and fellow CAP officer Rod Rakic to talk about accelerated flight training. Rod has done accelerated programs as a part of both his commercial and instrument training. I did my AMEL, ASES, and DC-3 (SIC) training in accelerated programs. And Rod and I are both graduates of the CAP National Emergency Services Academy’s Mission Aircrew School.